Do we need new reservoirs? The government insists more reservoirs must be built to offset the effects of climate change, but are they really needed? 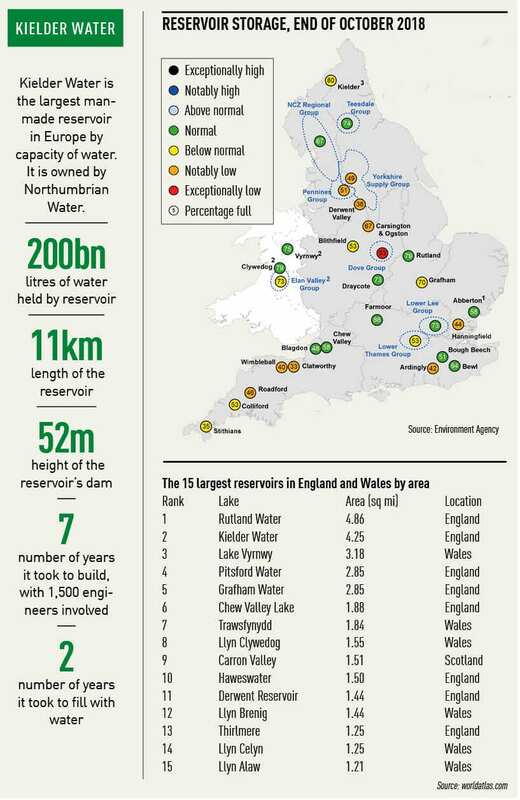 Reservoirs are beautiful places to relax or go for a walk, but do we really need to build new ones for water security? This is a question that divides water industry opinion. 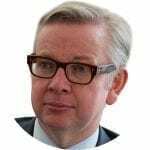 In a speech to Department for Environment, Food and Rural Affairs stakeholders on 26 November, environment secretary Michael Gove announced government plans to accelerate the construction of new infrastructure – including reservoirs. “In part because of company behaviour, in part because of regulatory barriers, we have not built any major new reservoirs in this country since the industry was privatised,” he said, insisting climate change and a rising population meant new water supply infrastructure “will be required”. 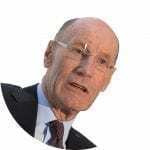 Back in March, the chairman of the National Infrastructure Commission (NIC), John Armitt, told the water sector the cost of building new reservoirs would be “peanuts” compared with the potential economic damage a drought would cause – a point he reiterated at Utility Week Congress in October. Meanwhile, Ofwat – currently chest-deep in its initial assessment of companies’ PR19 business plans – insists that each water company has a duty to ensure the resilience of its water supplies and water resource storage options, and reservoirs are an important part of this. “As we pore over business plans for PR19, we’ll expect to see a strong focus on resilience from all companies,” says a spokesperson. Resilience is one of the four key pillars of PR19, along with great customer service, affordable bills and innovation. What do water companies think? Some have new reservoirs in the pipeline, insisting they will be needed to ward off the threat of drought. Thames Water included, in its latest Water Resource Management Plan (WRMP), updated proposals to build a new reservoir in Abingdon, Oxfordshire – in partnership with Affinity Water. Plans for a reservoir south of Abingdon have been on the cards since the 1970s. Thames’ original plan was rejected by the government in 2011 on the grounds that there was “no immediate need”. The company insists the reservoir will help tackle issues caused by huge population growth and climate change, and even has the potential to support the wider water-stressed southeast region. It revived plans for the new reservoir as part of its WRMP19. If the project is approved, Thames aims to begin construction in 2025, with filling completed in 2037. The reservoir would then be able to supply water to the company’s region, including the densely populated city of London. Strategic planning and investment director Sarah McMath says: “The recent hot, dry summer has highlighted how precious a resource water is and how vital it is we plan for the future, not only because of climate change but also population growth. The reservoir is planned to supply large parts of the South East during times of drought and become a vital part of the region’s water supply network. A consultation on the latest draft of the plan closed on 28 November. Portsmouth Water is another company championing the construction of a new reservoir in its area. The company has plans to build a reservoir in Havant Thicket, East Hampshire – with a target date for delivery of 2029. The company insists it is needed, after neighbouring company Southern asked for an additional bulk supply into the Southampton area of Hampshire as part of a 2017 review of its WRMP. If the proposal for the Havant Thicket reservoir is approved, winter rainwater emerging at the Havant and Bedhampton Springs would be pumped into it via a new pipeline. The reservoir would also provide increased resilience in supply for Portsmouth Water customers, as well as new leisure and education opportunities for local communities. Not all reservoirs are above ground. Severn Trent is investing £5 million to build a new underground service reservoir in the Midlands – near Diamond Avenue in Kirkby-in-Ashfield. This will replace the existing, but ageing, reservoir in the same area. “As the local population continues to grow, we decided that now was the right time to upgrade the Diamond Avenue site to provide a far more resilient water supply that we can easily maintain. It’s all about us making sure our supply is fit for the future,” says Severn Trent’s Richard Evans – who is managing the project. The water firm also, this year, completed the £40 million expansion of a reservoir at Ambergate in Derbyshire, which provides fresh water to parts of the East Midlands. Severn Trent group chief commercial officer Helen Miles said at the time that the work – which involved modernising the site and increasing the capacity of the reservoir – would “make sure customers can keep using fresh water in so many wonderful ways for many years to come”. Anglian Water is another company considering building an entirely new reservoir. The company’s region has a rapidly growing population, and it is home to vital industry and agriculture, which all needs water to function. It’s also very dry – receiving about half the amount of rain compared to the rest of the UK. Anglian head of water resources Hannah Stanley-Jones says: “In our WRMP, which looks 25 years ahead, we explain how we’ll go about balancing this demand and supply of water in future decades. To do that we’re looking at a range of options, including the possibility of a new reservoir in the South Lincolnshire and Fenland area. However, reservoirs are not the only answer. Stanley-Jones says the £20 million the company plans to invest in 2020-25 is not only to progress the planning work for these options but also to explore other new resource schemes such as desalination and water reuse. Then there are those companies that are not planning to build new reservoirs at all, opting to find alternative ways of ensuring a resilient water supply. Bristol Water recently dropped long-running plans to build a £100 million reservoir in Cheddar, Somerset – nicknamed “Cheddar Two” – because it received updated information about the effects of population growth and climate change in its area. It also felt its new leakage reduction plans and work to improve water efficiency would be enough to stave off drought. And Welsh Water says it also has “no current plans” to build any new reservoirs. The company is confident that it has a “sufficient number” of reservoirs, which provide “adequate supplies” of drinking water to meet the needs of its customers “for the foreseeable future”. Resilience is and always will be a hot topic for the water sector, especially as climate change and population growth put greater pressure on water supplies. Whether it’s by building new infrastructure or finding innovative ways of reducing demand, water companies must be ready.